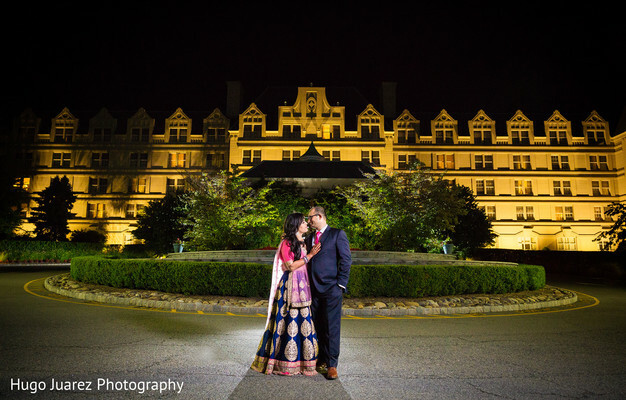 We are so excited to share Vibha and Jwalin’s Indian reception gala. 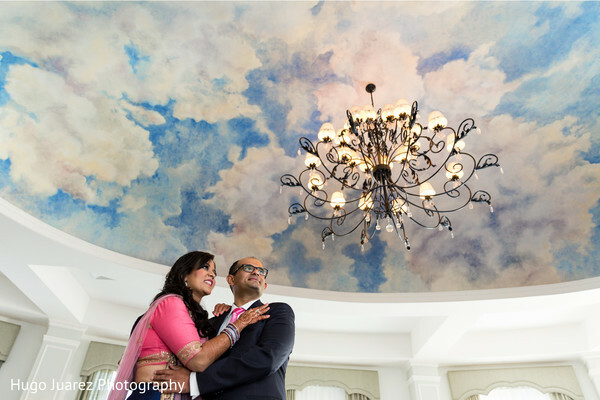 Before the event began, the couple spent some time taking lovely pics around their Hilton Pearl River venue. This private time was so special, since the couple could revel in each other’s company before the bustle of the event began. 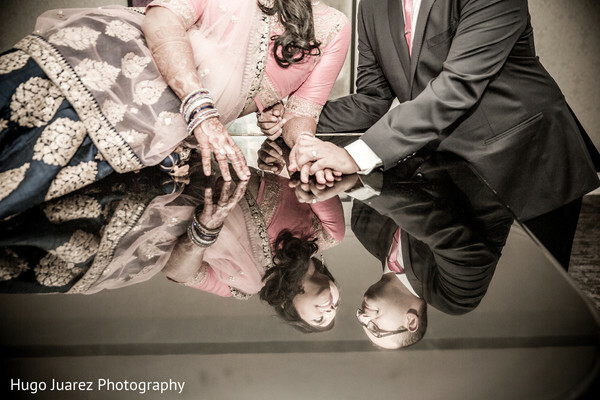 Plus, Hugo Juarez Photography captured some amazing shots that we’re sure the couple will cherish forever! 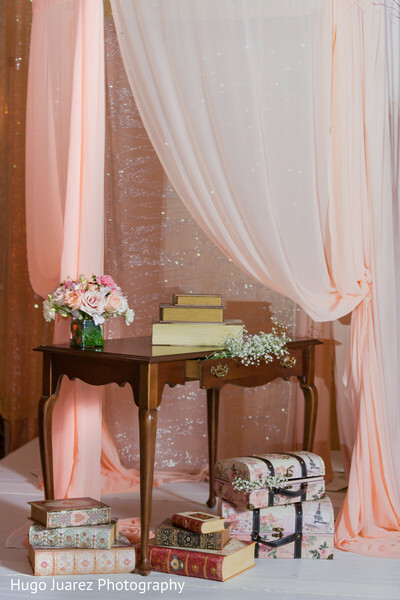 As we entered the reception ballroom, we saw that the blush hues from the couple’s ceremony carried over, and the design gurus at LAX States whipped up some dreamy pastel decor. 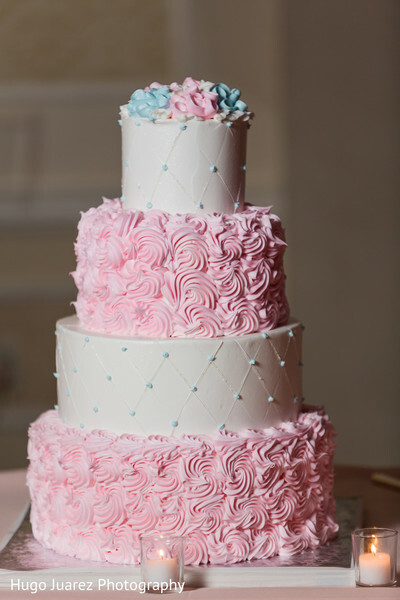 Everything from the frosted four tiered cake by A Little Cake to the chiffon stage drapings were tinged with pink. 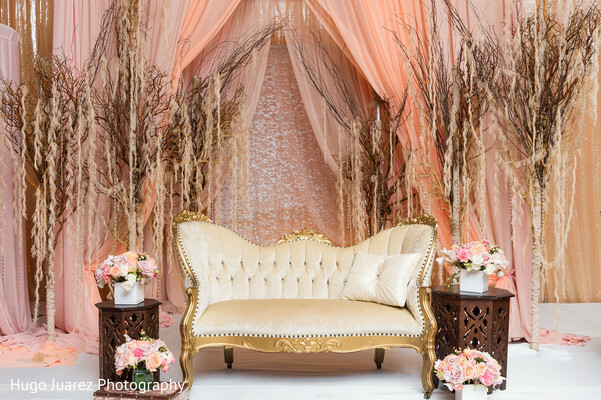 With so many sparkles and pink touches, the wedding looked like every girl’s dream come true. Through we adored so many design elements, we especially fell in love with the hardcover books decorating the stage. We thought it was such a whimsical touch and such a clever way to incorporate a shared hobby of the couple’s into the reception decor! 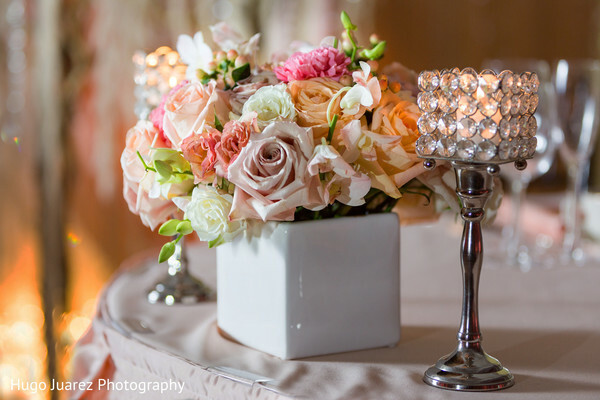 Hats off to the planning and design experts at Ring to Aisle Events and LAX States for contributing to such a beautiful event. 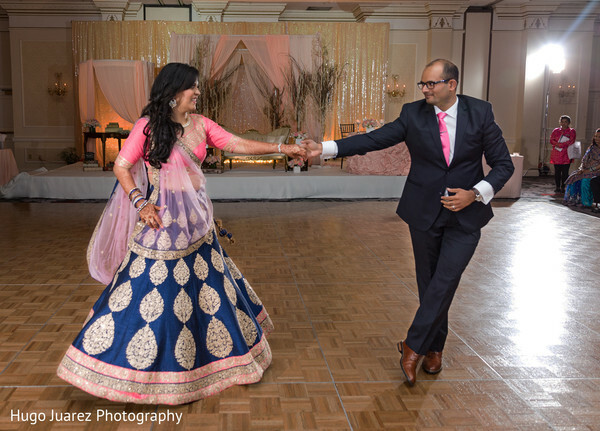 Vibha once again looked like a goddess in a navy and pink lehenga with a dazzling beauty look created by Sonia C. The couple took everyone’s breath away during their elegant first dance, followed by an incredible program with music and lighting by DJ Vik. Guests chowed down on decadent catering by Sapthagiri and Jewel of India. Then, everyone got down on the dance floor until the wee hours of the morning! 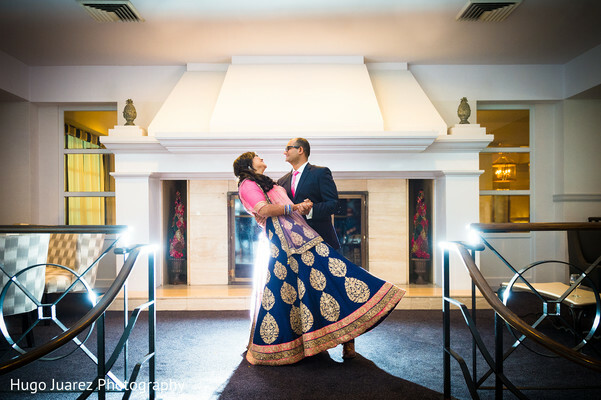 Maharanis, peruse the full gallery for all the joyous photos captured by Hugo Juarez Photography. We’ll see you first thing tomorrow for another fabulous wedding feature! DJ Vik Events and Ring to Aisle Events are members of the Platinum Guide. Love what you see? Explore their portfolios.